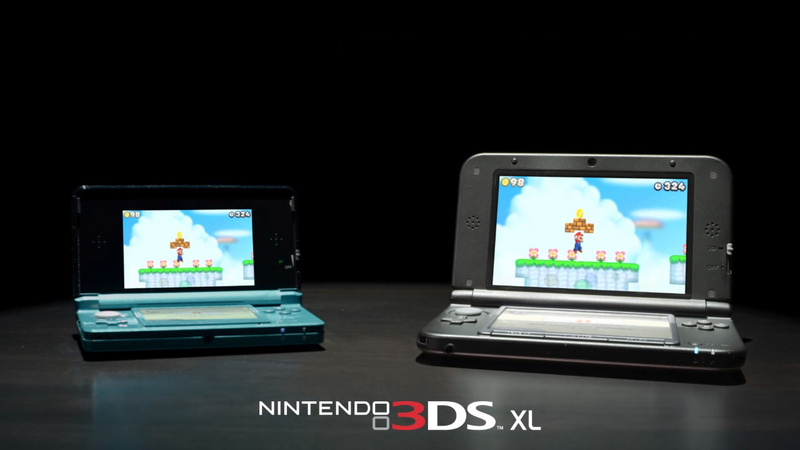 With 3DS XL officially arriving in stores tomorrow, Nintendo UK has released a short promotional trailer to celebrate the fact. The footage used appears to be recycled from the announcement trailer broadcast on Nintendo Direct a little over a month ago, showing the original and larger model side-by-side, with some New Super Mario Bros. 2 action on both screens. It does seem surprising that the promo uses this footage, especially as it's showing off a game that doesn't arrive for a few weeks. With Freakyforms Deluxe: Your Creations, Alive! and New Art Academy arriving on the same date, a new advert showing those alongside the console may have been worthwhile. In any case, check it out below. Officially arriving at stores tomorrow, already in my hands today, along with the new Art Academy. Thanks to GAME, I even got a £10 voucher for the console purchase, and about £5 worth of rewards points on my gamecard. This is totally going towards a eShop card with a large discount. Lol no effort at all went into this. I'm loving the matt finish! Just got done with the system transfer, everything went well. Whats with the classic mario music at the start? Enjoy people getting this in the UK I'm still counting down the days until it gets released down here in Australia... Can't wait! How did you get it today from Game? I sit released today? Pick mine up from ASDA tomorrow. Was getting it online but asda selling for £169! also toys r us are selling for £179 but include a brand new charger. @cfgk24 GAME are selling the 3DS XL today instead of tomorrow. They are also selling the new Art Academy today, instead of tomorrow. 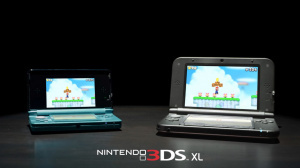 After the cheapest 3DS XL deal? Wasn't very satisfying not seeing anything new. Oh Well, Not getting one unless a Limited Edition one comes out. Well that's stupid. I saw that same trailer a long time ago..
Just under a month until it's released here. I'm not sure if I'll be getting one straight away, though. I really need to save up for my holiday in October.